Just spent a glorious 1/2 hour popping around your different sites. It is such a gift to be able to follow you folks. It refreshes me to no end and inspires me to keep on stitching. Our State Fair is in October and the deadline for sign up is Sept. 20th. 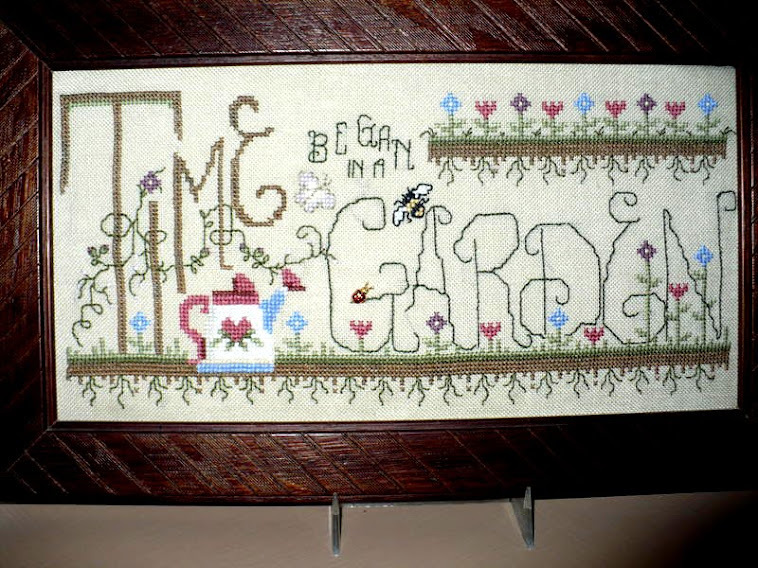 Unfortunately our section of cross stitch has dwindled over the years, but I still enjoy seeing what others have worked so hard on. that it's mainly one color. After stitching on things with LOTS of changes, this is so much fun to do. Of course I've changed some things around and decided to add some sparkle here and there... so will take a pic and post it soon. Looking forward to admire your pics. Thank you Gabi. As I can only enter 2 categories, it's decision time!